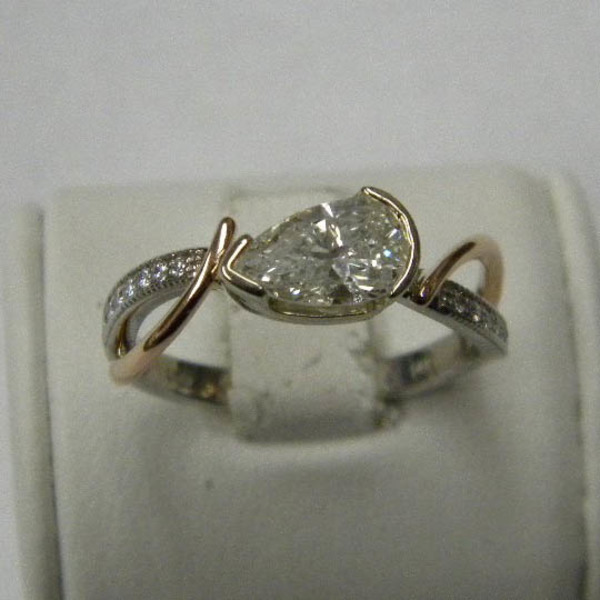 Here is proof that a diamond set in a ring does not always look like an engagement ring. This unique two tone ring with pear diamond set at an angle is simply elegant. Create something just for you and your personal style. enjoy!